Canada might seem too ‘New World-y’ to be referred to as grand, but the Gothically looming Parliament buildings right at the centre of town are certainly that. Around that anchor jostles a collection of colourful, dynamic downtown neighbourhoods with plenty of culture, plenty of green, plenty of food and just generally plenty to do. 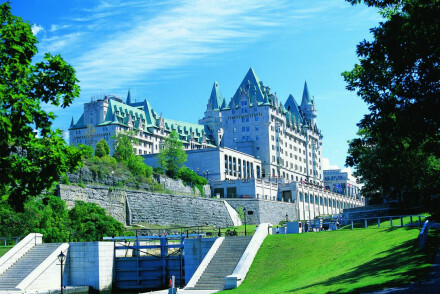 If you’re here to see the city then the best places to stay in Ottawa are probably those around the downtown area. The Rideau Canal is central, but also quite scenic, so another good starting point when looking for a great location for finding the best places to stay in Ottawa. This is ideal for taking long, slow, scenic strolls - or in Winter it freezes and becomes a ‘skating-to-work-super-highway’. So it’s a hive of activity in every season. Once you’re checked into your choice of hotel, there are a few sights you’ll definitely want to see. The Parliament building has already been mentioned, but the antithesis to its Gothic grandeur is the home of the Canadian History Museum, a fantastic high-tech museum which presents the history of Canada in a collection of innovative exhibitions. It’s on the other side of the river in Hull, but has great views of Parliament Hill. The National Gallery of Canada building is another architectural marvel, with its glass spires and pink granite, and inside there’s a great collection of predominantly Canadian art, starting with works by indigenous artists. Though they do also have European and American galleries. Some of Ottawa’s other museums and galleries worth a mention include the Canadian War Museum, the Food and Agriculture Museum, the Science and Technology Museum and the Aviation and Space Museum. There are also several historic homes and mansions open to the public, a beautifully glittering cathedral and a chance to see the Mounties at the RCMP Musical Ride Centre. 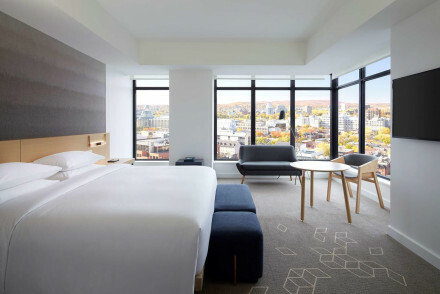 This city is a busy year round destination, so if you want to make sure of a bed in one of the best places to stay in Ottawa, do yourself a favour and book early. 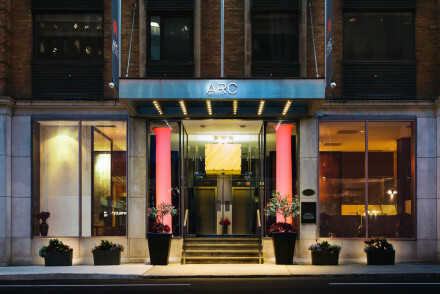 ARC The Hotel is an upscale boutique hotel in Ottawa’s downtown. The decor is sleek and minimalist, perfect for the city, and you’re right in the heart of everything, from night life to many of the top places to visit. Sophisticated, but also good value. If you'd prefer a self-catering option this holiday - don't hesitate to visit our online partner, Booking.com for a great selection of centrally-located properties ideal for exploring the city. Fly to Ottawa Macdonald–Cartier International Airport located 13km (8 miles) from Ottawa with flights across North America and to Europe. Alternatively, catch a train to Ottawa with regular daily trains running from Montreal and Toronto amongst other destinations. Or if you want to rent a car - for prices and booking, click here to visit our online partner, Rental Cars. Best time to visit - Summer for warm temperatures ideal for exploring the city. However, the summer months can see prices rise and larger crowds so for a cheaper and quieter visit, spring may be a better option.